The English Electric Engine installed in Class 37’s is a 12CSVT 12 cylinder ‘V’ 1750hp unit. The loco is carried on 2 Co-Co bogies with all 6 axles driven by Traction Motors. 37142 was designated a freight engine and as such was not fitted with any train heating equipment, steam or electric. 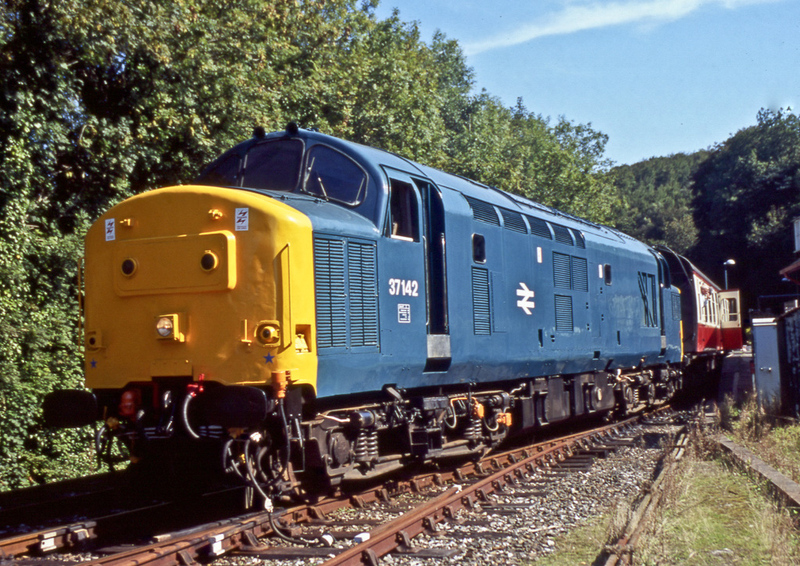 D6842 was built as one of the 309 strong class that were to become commonly known as Class 37’s. It was released to traffic on the 17th May 1963 when it was allocated to Cardiff Canton. 37142 holds a unique position in Cornish railway history. On the 5th May 1978 it became the first Class 37 to be allocated to Laira depot in Plymouth, then out stationed at St Blazey. 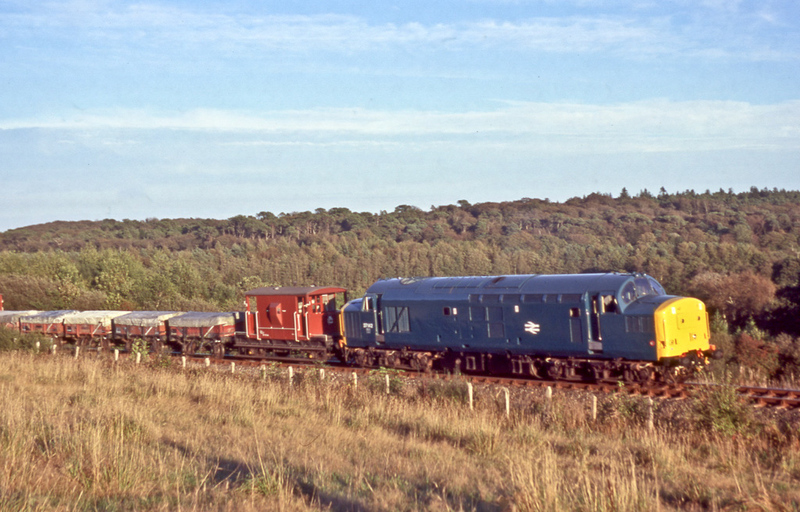 The intention was to eliminate the smaller Class 25 diesels from china clay workings in the Duchy. 37142 remained on these duties for 5 years until 1983 and its success led to Class 37s dominating local freight workings for twenty years. Withdrawn in May 1997 from Crewe diesel depot after a working life of 34 years it was stored until being sold to the Harry Needle Railroad Company in August 2002. 37142 was then sold on to us for preservation in May 2003 and moved to Bodmin on 2nd September 2003, arriving by road from Barrow Hill. Within 9 months the engine was started for the first time in preservation (19/06/2004) and on the 25th of August that year moved under its own power. Following the September Diesel Gala, it then took a further 12 months to restore the body work and repaint into BR blue. In September 2009 (whilst being prepared for startup) oil was found to be emulsified, further diagnosis led to the conclusion that at least 3 cylinder liner seals had failed. The decision was made that a full engine overhaul was required and Kevin Cook Engineering was contracted to carry out the more technical aspects of the rebuild. All 12 cylinder heads were removed, followed by the pistons and liners. New big end bearing shells, along with some piston rings and a full set of new liner seals were fitted, before new oil and filters completed the job. The total for this was in the region of £12,000 in addition to the hundreds of volunteer man hours. and James(x2) for making the trip down from Chesterfield to assist with this task. Whilst the loco was out of traffic a fresh coat of paint was also applied.